In July 2014, three Israeli teenagers were found shot to death in the West Bank, shortly after their abduction by Hamas terrorists. These murders, and the ensuing rocket attacks on Israeli population centers, have reinforced Israeli awareness of the inability to affect the motivation of non-state actors such as Hamas, Islamic Jihad, and Hezbollah to fight the Jewish state. Following the abduction and murder of three Israeli teenagers in the West Bank and a continuous barrage of Hamas rockets on Israeli towns and villages, the government of Israel launched Operation Protective Edge on July 8, 2014, mostly in the form of air strikes on Hamas targets. On July 17, a limited ground incursion commenced to locate and destroy tunnels into Israel, coming to a close on August 5. Having either rejected or violated numerous ceasefires, on August 26, Hamas finally accepted an Egyptian ceasefire proposal (originally made on July 15). The operation lasted fifty days and was longer than all previous rounds of violence in Gaza. What were the operation's strategic rationale and goals? How has it affected Israel's international standing, its negotiations with the Palestinians, and regional deterrent posture? Above all, who actually won the war? are keenly aware of their inability to affect the motivation of the non-state actors such as Hamas, Islamic Jihad, and Hezbollah to fight the Jewish state; they understand full well the impracticality of attempting to defeat extreme ideologies by force of arms. The non-state organizations are a persevering and uncompromising enemy, bent on destroying the Jewish state, and there is nothing Jerusalem can do to lessen this motivation. Thus, Israeli leaders refrain from using military strength to strive for "victory" or for an end to the conflict. Jerusalem does not expect peace or integration with its neighbors. It merely wants to be left alone. The patient approach of "mowing the grass" is a mirror image of the Arabs' persevering "resistance" strategy. Although Israelis understand that there is no simple way to deter highly motivated organizations like Hezbollah and Hamas, the Israel Defense Forces (IDF), nevertheless, use force to degrade their enemies' military capabilities and thus diminish the damage they can inflict. In Israel's military parlance, this is "mowing the grass" of its enemies' abilities, without any pretensions to solving the conflict. Moreover, Jerusalem is trying to gain a modicum of deterrence in order to extend the quiet between rounds of violence. Periods of calm are important for Israel; its very existence portrays a victory to extremist, non-state enemies and constantly reminds them that their destruction plans are unattainable. Extending the periods of calm along the borders will lessen the cost of this protracted conflict for Israel. Ironically, the patient, attritional approach of Israeli military action is a mirror image of the Arabs' persevering "resistance" (muqawama) strategy. Israel's large-scale operations in Gaza of December 2008-January 2009 (Cast Lead) and November 2012 (Pillar of Defense) were conducted with this strategic rationale. During the summer of 2014, Hamas found itself in a difficult position, primarily due to the fall of President Muhammad Morsi in Egypt in July 2013 and his replacement by Gen. Abdel Fattah al-Sisi, elected president in May 2014. Viewing Hamas as an offshoot of the Muslim Brotherhood and hence an arch enemy, the new regime joined Israel in cutting its supply routes to Gaza. As a result, Hamas chose to rock the boat by attacking Israel in the hope of breaking Gaza's isolation. Specifically, it demanded reconstruction of the Rafah airport, construction of a seaport, and unrestricted traffic between Gaza and the West Bank. Jerusalem reacted with Operation Protective Edge to force Hamas to stop the rocket and missile attacks and to thwart its political goals in accordance with a strategy of attrition and limited political objectives: "gaining quiet on Israel's border with Gaza" and "quiet will be met with quiet." The government did not speak in terms of toppling Hamas or returning Gaza to Israel's control, despite some proponents within the cabinet of this course of action. These voices became more prominent as Hamas refused to cease its bombardment. Yet, while the IDF is perfectly capable of these alternatives, toppling Hamas and reoccupying Gaza could easily incur a prohibitive human cost. In addition, it was not likely that Jerusalem would garner support from the international community, especially the United States, for a lengthy operation of this kind. Nevertheless, if Hamas renews its fire against Israel, there may be no other recourse but to recapture the entire Gaza Strip so as to destroy its military potential and to gain a long period of calm. The government of Israel desired a weakened Hamas to rule over Gaza. Hamas is deeply entrenched in Palestinian society and draws considerable support from the Palestinian public. Surveys conducted among Palestinians prior to Operation Protective Edge showed 35 percent support in both the West Bank and Gaza with even greater support in the Strip alone. Hamas's civilian arm provides many services for the Gaza population, and Gazans feel gratitude toward the organization. Noteworthy as well, Hamas won both the 2005 municipal elections and the 2006 parliamentary elections. All this indicates widespread support for Hamas on the Palestinian street. Moreover, the military arm's violent struggle against Israel is highly popular, despite its heavy cost for the Gaza population. In December 2014, an overwhelming majority of 77 percent supported rocket and missile attacks on Israel if the siege and blockade was not ended. Public opinion surveys conducted in the wake of the operation showed support for Hamas among the Palestinians at a higher level than ever. Unfortunately, many Palestinians are not encouraged to strive for peace but rather to sacrifice their lives and become martyrs in a holy war against the Jewish state. 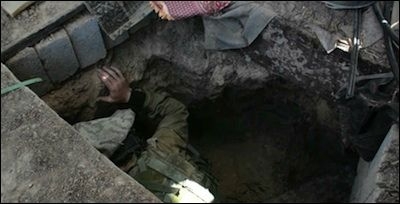 An Israeli soldier inspects a Hamas tunnel. Hamas had planned to use this and other tunnels to launch an attack timed for the Rosh Hashanah holiday on kibbutzim and other Israeli communities, killing and kidnapping as many Israeli civilians as possible. The recent Gaza operation thwarted these plans. Despite Hamas's uncompromising nature, the Israeli government desired a weakened regime to rule over Gaza. The separation of Gaza from the West Bank serves Israeli interests by weakening the national Palestinian movement, which remains a bitter enemy of Israel into the foreseeable future. Mahmoud Abbas' September 2014 address to the U.N. General Assembly is clear proof of that. Even as the Palestinian Authority (PA) asks the United Nations to recognize Palestinian independence, it continues to teach hatred for Israel and to make demands that jeopardize its own existence. Criticism of the operation's aims was also voiced by the Israeli Left and the international community. Some called for the ending of Hamas rule and the return of Gaza to the PA with IDF assistance. This could seemingly revive the two-state solution paradigm. But it is unclear whether Abbas is willing or capable of taking control of Gaza even if the IDF cleared the way. Indeed, apart from the nominal so-called unity government of June 2014, the PA has shown no interest in such a scenario. Neither the PA nor the government of Israel appears to want any part in running Gaza. The proposal to hand Gaza to the PA also demonstrates forgetfulness of the failed Israeli attempts to determine the leadership of its Arab neighbors, such as the 1982 Lebanon war and the "village associations" with the West Bank Palestinians. Influencing political dynamics in the surrounding Arab states is simply beyond Jerusalem's abilities. Even the powerful United States has repeatedly failed to do this. Moreover, favoring particular candidates for power in an Arab entity will always have a boomerang effect since Israel's support erodes their legitimacy. Pragmatic cooperation with Israel is not the way to popularity in the Arab world. Garnering international support for an operation against Hamas in Gaza was high on the Israeli list of priorities. The conduct of the Israeli government reflected this priority with its forbearing attitude and willingness to accept all proposed ceasefires. Political coordination with Egypt also served this aim, especially vis-à-vis the Arab states. The majority of the international community supported Israel's right to self-defense. Part of the international credit was thanks to Jerusalem's readiness to accept every ceasefire and partly due to the somewhat reserved U.S. support. Despite international criticism of the supposed use of disproportionate force, generated by images of destruction from Gaza, Israel was able to operate militarily for fifty days. This is a considerable feat. The regional political alignment was also convenient for Israel. There was conspicuous restraint among conservative Arab states such as Egypt, Saudi Arabia, Jordan, and the Persian Gulf monarchies (excluding Qatar), all of which were keen to see Hamas hit hard. It was also clear that these states shared common strategic interests with Israel as was the case during the 2008-09 fighting in Gaza (Operation Cast Lead). Like Israel, these states also consider Iran a major threat, especially its nuclear aspirations. The phenomenon of the so-called Islamic State, the extremist Islamist organization that has conquered parts of Syria and Iraq and proclaimed a caliphate, has brought the moderate states even closer together. The strategic partnership between Israel and these Arab states is a bright point among the regional shambles left by the Arab uprisings. Washington failed to grasp the seminal significance of Egypt in the Gaza equation. Israel considered Egypt's involvement of paramount importance in arranging a settlement that would bring the Gaza campaign to an end and in goading Hamas into a ceasefire that basically ignored most of the terrorist organization's demands. This insistence strengthened the ties between Israel and Egypt—the most important Arab state. Unfortunately, the Obama administration did not appear to have a real grasp of the Middle East reality. Before the war, Washington had expressed support for the Hamas-PA national unity government. This lent additional legitimacy to Hamas, strengthening the widespread impression that the Obama administration favored the Muslim Brotherhood (Hamas's parent organization) and further alienating key Arab states, including Egypt and Saudi Arabia. These two and the smaller Persian Gulf states were already suspicious of U.S. policy following years of unsuccessful negotiations with Iran over its nuclear program, the misplaced U.S. trust in Turkey's Islamist regime, and the inexplicable support for Egypt's short-lived Muslim Brotherhood regime. As such, Washington's approach toward Hamas became yet another component in the Obama administration's failed Middle East policy. The strains between Washington and Cairo following the ousting of the Muslim Brotherhood were in stark contrast to the close cooperation between Israel and Egypt regarding Hamas. Washington failed to grasp the seminal significance of Egypt in the Gaza equation and, for a time, ignored its proposed ceasefire and endeavored to promote the mediation initiative of Qatar and Turkey, both Hamas supporters. The U.S. administration believed that these two states could influence Hamas, neglecting the fact that Cairo had historically been a rival of Ankara in regional affairs and had a particularly tense relationship with Turkey's controlling Islamist Justice and Development Party (AKP). During the Gaza war, disagreements arose between Jerusalem and Washington, underscoring the complexity of the bilateral relationship during the Obama administration. U.S. officials expressed concern about the effects of Israel's use of force while the Israelis resisted the U.S. intention to make Turkey and Qatar sponsors of a ceasefire. Highlighting the strains, a Wall Street Journal story about delays in transferring helicopter Hellfire missiles referred to a scheduled delivery of missiles that Israel merely wished to expedite. With the delay, Washington signaled its disapproval of Israeli actions, but the operational implications were marginal. It is also important to note that the delayed arms shipment consisted of arms other than the Hellfire missiles. Unfortunately, the negative publicity surrounding the strains in U.S.-Israeli relations has had a detrimental effect on Israel's international reputation and, particularly, on its regional status. Washington swiftly approved further funding for another Iron Dome missile defense battery and even opened its war reserve stockpile in Israel to assist the IDF with its ammunition shortage. And yet, publicity surrounding the strain harmed Israel and motivated Hamas to persist in its rejection of a ceasefire. Still, the U.S. unwillingness to transfer ammunition during the fighting sent a shock wave through the Israeli defense establishment. In the wake of this incident, the defense establishment is reconsidering joint U.S.-Israeli projects in which weapons are manufactured in the United States with U.S. aid funding. It is expected that in the future, Israel will increase its local production of sensitive arms to prevent a repeat of the summer's events. 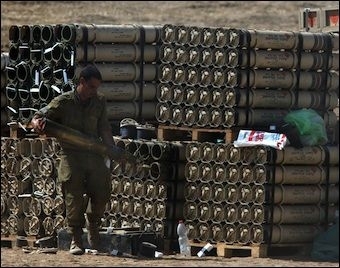 Another consequence of the delays is Israeli reexamination of its domestically manufactured ammunition supplies. Nevertheless, defense relations of the closest kind continue between Israel and the United States. Washington swiftly approved further funding for another Iron Dome missile defense battery and even opened its war reserve stockpile in Israel to assist the IDF with its ammunition shortage. And yet, publicity surrounding the strain harmed Israel and motivated Hamas to persist in its rejection of a ceasefire. Some friction with Washington on the Palestinian issue is inevitable due to differences over its importance and how it should be managed. In the Israeli view, Washington tends to exaggerate both the regional implications of Palestinian-Israeli peace and the chances for its achievement. It is noteworthy that great powers such as China, India, and Russia showed understanding toward Israel's situation while many other states were relieved to see the fighting draw to a close so that they could continue their "business as usual" with Israel. Despite exaggerated fears of international isolation among certain circles in Israel following the fighting in Gaza, Jerusalem's international status has remained strong, and its economic ties with the world are unaffected by the conflict with the Palestinians. Discontent with Israel's actions in Gaza was voiced by the usual suspects: human rights organizations, U.N. institutions, and some third world countries. Several West European countries hosted anti-Israel marches, and anti-Semitic sentiments surfaced in an unprecedented manner. A number of Latin American states, including Brazil, recalled their ambassadors. The U.N. Human Rights Council's decision to appoint a commission of inquiry on war crimes will likely lead to a "Goldstone II" report, which could inflict political damage on Israel. War coverage by the international media was biased in favor of the Palestinians. Media reports on the alleged disproportionate use of force are the result of Hamas's manipulation and demonstrate a poor understanding of what happens during war. It should be noted, however, that both the BBC and The New York Times ran articles that questioned the data supplied by Hamas on the number and identity of their fatalities. Among the slightly more than 2,000 fatalities, half were identified by Israel as Hamas operatives, which amounted to a ratio of one to one collateral damage—much better than the U.S. record in Iraq or Afghanistan. 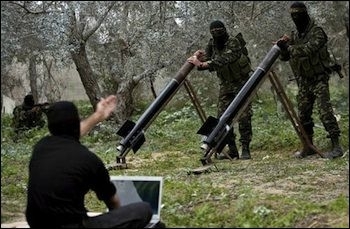 Hamas will balk at any attempt to force it to part with its weapons. Historically, full demilitarization was always applied to the defeated side. But while Hamas has been considerably weakened by Israel, it was by no means defeated. Thus, the demand for Hamas's peaceful disarmament is unrealistic. Still, the agreement on the demilitarization of Gaza in the Oslo accords serves to erode the legitimacy of Hamas's use of force against Israel. On the other hand, one positive outcome of the war was the idea of "demilitarization in exchange for reconstruction," accepted by such international actors as the United States, the European Union, and even the U.N. The main motive for introducing demilitarization is to pave the way for the return of Gaza to the PA and, perhaps, the internationalization of the conflict that will give the Europeans a say in the Israeli-Palestinian arena. Yet, Hamas will balk at any attempt to force it to part with its weapons. Historically, full demilitarization was always applied to the defeated side. But while Hamas has been considerably weakened by Israel, it was by no means defeated. Thus, the demand for Hamas's peaceful disarmament is unrealistic. Nevertheless, the international agreement on the demilitarization of Gaza—a key element in the 1990s Oslo accords—erodes Hamas's legitimacy to use force against Israel. Moreover, this idea legitimizes efforts by Israel to monitor supplies entering Gaza and to use force for defense purposes. Several suggestions are being raised for the involvement of international actors and U.N. forces in advancing demilitarization, but Israel has had a dismal experience with such experiments. All the international peacekeeping mechanisms and forces in the Arab-Israeli arena have invariably proven ineffective. For example, there is the failure since 2006 of the U.N. force in South Lebanon (UNIFIL) to prevent rockets from reaching Hezbollah. In Gaza, after only one year at the Rafah crossing, European observers took to their heels at the first sign of danger. U.N. units in the Golan Heights (UNDOF) have now also retreated when faced with hostile activity. The international force in Sinai, which monitors the demilitarization clauses of the Egyptian-Israeli peace treaty, has no mandate to fight Islamist terrorists in the peninsula. This force became largely superfluous when Israel agreed to the upgrading of Egyptian forces in Sinai to enhance counterterrorist capabilities. Israel simply cannot count on others to ensure its safety. The government of Israel demonstrated caution in avoiding the use of massive force, which is commendable in a democracy that cares for the wellbeing of its citizens and soldiers. Prime Minister Binyamin Netanyahu was correct in predicting that such restraint would gain Israel international legitimacy as well as contribute to domestic national consensus. However, it remains to be seen whether such conduct eroded Israeli deterrence by delivering a message of weakness and hesitancy as the readiness to fight, determination, and uncompromising courage are the building stones of deterrence. Restrictions placed on the IDF for fear of international reaction may be read as weakness and impair deterrence. The image of Israel merely reacting to Hamas's moves, waiting each time until the last minute to see whether the terror group would oblige and extend the ceasefire, is not conducive to Israeli deterrence. Likewise, Hamas's lengthy refusal to accept a ceasefire shows that the 2014 Gaza operation did not exact a sufficiently painful cost to expedite an agreement. Nor does Hamas's claim that it withstood the Israeli military might for fifty days serve Israeli deterrence. Indeed, the fighting was much longer than the IDF had anticipated. Maj. Gen. Sami Turgeman, who served as southern command chief in the Gaza war, said earlier in 2011, "We will do everything to shorten the duration of the campaign and will conduct a fast, lethal ground maneuver." It is important to remember that deterrence depends on military might but also on the willingness to employ force. Restrictions placed on the IDF for fear of international public reaction, such as avoidance of extensive targeting of multi-story buildings and mosques that served as Hamas strategic facilities and launching pads, may be read as weakness and impair deterrence. Perhaps escalation should have begun earlier in the war. On the other hand, Israel's ability to target the heads of Hamas's military branch, the severe level of destruction in parts of Gaza, and the IDF's capacity to collect real-time intelligence and attack swiftly, may contribute to deterrence. But leaving Hamas in control of Gaza conflicts with the aim of creating long-term deterrence. In light of all this, the contribution of the 2014 offensive to Israeli deterrence is inconclusive and will have to be examined over time. There is no sign of Hamas moderating its position toward Israel. Hamas's positions, and even that of the Palestine Liberation Organization, do not show any inclination to make a historical compromise with Jerusalem. The government of Israel still stands behind its statement that the Palestinian unity government is not a worthy partner for peace talks. Thus, the war did not directly affect the slim chances for advancing negotiations. This realization has not permeated sufficiently into the Israeli political leadership since part of the political echelon is still caught up with the concept of a "two-state solution." Another part of society pays lip service to this formula despite understanding that it is impractical so long as the Palestinians reject Israel's right to exist; nevertheless, this group thinks that it is worth pursuing in order to manage the conflict rationally. Only the political extremes from Right and Left prefer other formulae and are ready to declare the "two-state solution" defunct. Yet, it is possible that the Gaza operation will constitute a stage in a long educational process by the Palestinians that Israel's existence is a fact and cannot be eradicated and that a high cost will be exacted for engaging the country in a protracted, violent conflict. By contrast, the international community still cleaves rather obsessively to the "two-state solution" as panacea. The Pavlovian response to war is that increased efforts are necessary to solve the conflict between Israel and the Palestinians. And yet, the difficulties in moving the "peace process" forward and crises in other places around the world may divert attention from this conflict and leave Israelis and Palestinians to continue spilling each other's blood. The Gaza war certainly clarifies that the two societies have reserves of energy and have not yet tired of fighting. At the end of the day, ethno-religious conflicts of the sort Israel is involved in usually are concluded once the societies involved reach a point of fatigue. That has not yet occurred. Operation Protective Edge was perceived by Israelis as both necessary and justifiable. The sense that there is no choice is an important condition in preserving national fortitude in an intractable, protracted conflict. The unprecedented efforts by the IDF to maintain its "purity of arms" or morality in warfare code also neutralized to a great extent criticism of the Israeli use of force from abroad and in extreme circles in Israel. Israelis demonstrate in Tel Aviv in support of Operation Protective Edge; the majority perceived it as necessary and justifiable. The sense that there is no choice is an important condition in preserving national fortitude in an intractable, protracted conflict while the effectiveness of the Iron Dome system contributed significantly to the ability of the home front to function almost normally. The achievements of the Iron Dome system contributed significantly to the ability of the home front to function almost normally—except for the Gaza-border residents, who were also exposed to mortar fire for which no appropriate defensive response was found. Moreover, for these residents, the failure to address Hamas's tunnels effectively severely detracted from their sense of security and trust in the government. It could be that preparing differently for the tunnel challenge might have entirely prevented the need for a ground campaign or at least would have required a less complicated operation. 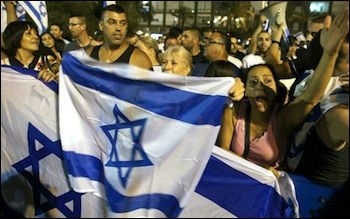 Despite sweeping support in Israel for the military action against Hamas, the results left Israelis troubled. It is no small matter to accept that the conflict cannot be resolved and that another round of fighting is just around the corner. Nevertheless, surveys show that Israelis have internalized this reality and, during the war, displayed extraordinary fortitude and solidarity. Turning the protracted conflict into a tolerable routine constitutes a major challenge for Israeli society. The domestic, political impact of the Gaza war will depend on the duration of the calm attained in its aftermath. The domestic, political impact of the Gaza war will depend predominantly on the duration of the period of calm attained in its aftermath. The longer it lasts, the better it will be for Israel. If deterrence does not work and Hamas decides to challenge the government by firing into Israel, it may very well be that Jerusalem may be forced to "mow the grass" once again and all the more forcefully. This option is likely to gain much support from the Israeli public. As long as the Palestinians do not transform their goals, the conflict will not be resolved, only managed. Israel will continue to live by the sword and to "mow the grass" as needed. In Operation Protective Edge, Jerusalem set out once again to destroy Hamas's military capabilities with the understanding that it is engaged in an intractable, protracted conflict requiring a strategy of attrition. Ultimately, this objective was achieved. One third of Hamas's rocket and missile stockpile and most of its rocket-manufacturing infrastructure were destroyed. Most of its thirty-two attack tunnels were likely destroyed, and about 1,000 Hamas combatants, including some high-level leaders, were killed. It could be that more targeted killings and an earlier relaxing of the restraints on airpower could have expedited the acceptance of the ceasefire by Hamas and thus avoided much of the destruction in the Strip. A major achievement by Hamas was the closure of the Ben-Gurion airport for a short time (due to a human error by Iron Dome operators). Moreover, the civilian population within the range of mortars and near the attack tunnels was shaken, and its resilience was questioned as some residents left the region. Nevertheless, it is clear that Hamas lost this campaign. The unlimited ceasefire, as demanded by Israel and Egypt, constitutes a precondition to future negotiations and was formulated without the involvement of Qatar and Turkey. All the crossings into the Gaza Strip will continue to be under Israeli and Egyptian control, which will constrain Hamas's ability to rearm. Egypt even forced Hamas to agree to a PA presence at the Rafah crossing. All of Hamas's "victory speeches" cannot change the fact that, ultimately, it succumbed unconditionally to Egyptian-Israeli pressure. Any evaluation of Protective Edge must consider the cost for Israel. The Iron Dome system neutralized practically all rockets and missiles fired at Israeli population centers. The majority of the country suffered only marginally although the alarm sirens did have a negative psychological effect. The public's display of self-discipline reduced loss of life, but, nevertheless, there were seventy-two fatalities (including more than sixty soldiers) and hundreds of wounded. Limited damage was incurred, mostly to property in the Gaza envelope. The direct and indirect costs of the war, amounting to several billion dollars, are tolerable for the strong Israeli economy. Israel's public diplomacy must adopt the concept of demilitarization and prepare a plan for promoting the idea. The goal is to make it as difficult as possible for Hamas (without toppling the organization) to acquire weaponry. Israeli diplomats must also contemplate how to check the onslaught against Israel in the field of international law. Following the Gaza war, the IDF must rethink its operational mode. There are many areas of operation to be commended, such as technological superiority and fighting spirit among soldiers and commanders on the ground. Investigation of all these issues is underway in all corners of the Middle East, not just in Israel and the Gaza Strip. The 2012 Pillar of Defense and 2009 Cast Lead operations in Gaza, as well as the 2006 Israel-Hezbollah war, were launched to regain deterrence. All of them restored calm, marked by a continuing low level of attacks, but also engendered legal and political attacks in the international arena. So far, the 2014 military operation has achieved the same results, but no one can predict for how long the calm will last. Efraim Inbar, director of the Begin-Sadat (BESA) Center for Strategic Studies, is professor of political studies at Bar-Ilan University and a Shilman-Ginsburg Writing Fellow at the Middle East Forum. Yoni Ben-Menachem, "Egyptian President al-Sisi vs. Hamas," Jerusalem Center for Public Affairs, Dec. 17, 2014. The Jerusalem Post, July 8, 2014. Palestinian Public Opinion Poll, no. 54, Palestinian Center for Policy and Survey Research, Ramallah, Dec. 3-6, 2014. Mahmoud Abbas, speech to United Nations General Assembly, Palestine News and Information Agency, Ramallah, Sept. 26, 2014. Eytan Gilboa, "The United States and the Arab Spring," in Efraim Inbar, ed., The Arab Spring, Democracy and Security: Domestic and International Ramifications (London: Routledge, 2014), pp. 51-74. Daniel C. Kurtzer, "Can the Egyptian-American Relationship Be 'Reinvented?'" The American Interest, Apr. 8, 2014. The Wall Street Journal, Aug. 14, 2014. Author interview with senior Israeli official, Tel Aviv, Sept. 7, 2014. Jonathan Rynhold, The Arab-Israeli Conflict in American Political Culture (Cambridge: Cambridge University Press, 2015), chaps. 2-3; Dan Kurtzer and Scott Lasensky, Negotiating Arab-Israeli Peace: American Leadership in the Middle East (Washington, D.C.: United States Institute of Peace, 2008). Eugene Kontorovich, "Isolation and the Elections," Israel Hayom (Tel Aviv), Dec. 11, 2014; The Jerusalem Post, Dec. 18, 2014, Jan. 7, 2015. See, for example, The Telegraph (London), July 26, 2014. Haaretz (Tel Aviv), July 29, 2014. See, for example, The New York Times, Aug. 5, 2014. Moshe Yaalon, lecture, Begin-Sadat Center for Strategic Studies, Ramat Gan, Sept. 29, 2014. Israel Defense (Kfar Saba), Sept. 18, 2014. "Operation 'Protective Edge': A Detailed Summary of Events," International Institute for Counter-Terrorism, Herzliya, July 12, 2014;The Jerusalem Post, July 16, 2014. Ehud Yaari, "Hamas Searches for a New Strategy," Policy Notes, no. 19, Washington Institute for Near East Policy, Oct. 2014; Yoni Ben-Menachem, "Internal Hamas Debate about Rethinking Policies," Jerusalem Center for Public Affairs, Nov. 30, 2014. Related Topics: Efraim Inbar | Spring 2015 MEQ receive the latest by email: subscribe to the free mef mailing list This text may be reposted or forwarded so long as it is presented as an integral whole with complete and accurate information provided about its author, date, place of publication, and original URL.